Benefits of Celery Juice Recipe for Digestion, Skin, Hair & More! If you’re like me, you’re researching the benefits of celery juice after hearing about this hot trend on social media. It seems like everywhere I look, someone is touting the magical healing properties of drinking celery juice! I do believe in the power of plants to nourish our bodies, so I wanted to explore the true celery juice benefits for myself. 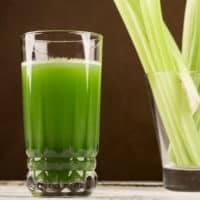 So, why is everyone drinking celery juice anyway? While you might associate celery with those peanut-butter-stuffed sticks from your childhood, there’s so much more to the leafy green stalks! This super vegetable is low in calories, contains an abundance of vitamins and minerals, has almost no fat, and is low carb. Just one stalk of celery has 6 calories and 1.2 grams of carbs, but as most of those are fiber, they’re good for you! Eating raw celery, however, isn’t everyone’s cup of tea, so it’s worth looking into the benefits of celery juice. Raw foodies will tell you that this is an essential addition to any diet where your goal is maximum nutrition. Celery juice is a pleasant, light tasting superfood that can do wonders for your hair, skin, and digestion. Since any version of the food guide that you care to follow will tell you that you need at least 5 servings of fruits and vegetables every single day, celery juice is a great way to get one of those servings! One of my favorite celery juice benefits is for your skin! Celery contains a large amount of water and electrolytes, making it useful to stave off dehydration, while at the same time helping your body to eliminate unneeded water, also known as a diuretic effect. Water retention, bloating and puffiness can all be reduced when you consume things that have this effect. Celery juice is a wonderful drink to boost your glow while reducing under-eye puffiness. Celery juice for acne is also wonderful as it works as an anti-inflammatory agent. Celery juice contains compounds called polyacetylenes. 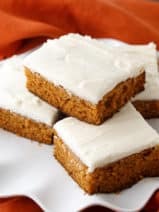 These have been found to have anti-cancer properties by decreasing the toxicity in the body, working to defeat tumors, and working generally as an anti-inflammatory. As noted, the anti-inflammatory properties found in celery juice are thanks to the antioxidants it contains, and in particular: polyphenols and flavonoids. Inflammation is a part of so many diseases and disorders including heart disease, high blood pressure, some cancers, arthritis and more. Even issues like IBS and Crohn’s Disease can be soothed via the benefits of celery juice. If you are afflicted with anything from acne to eczema, the same anti-inflammatory properties that will help your digestion or other chronic issues related to inflammation can help improve your skin! And no, you won’t turn green if you drink it every day! Along with the benefits of celery juice, I’m also a big fan of turmeric for healing inflammation within the body. Be sure to check out my turmeric gummies or turmeric gummies for a great inflammation-fighting snack. No, you don’t have to actually put it in your hair! Celery juice is loaded with water which helps keep the scalp hydrated. A well-hydrated scalp will help keep dandruff at bay. You’re also getting a nice dose of vitamin A in a glass of celery juice which helps nourish the roots of your hair, producing strong and healthy strands. Celery juice is even thought to help stimulate hair growth. If you’re trying to improve the strength, texture, and shine in your hair, drinking celery juice every day will work wonders. With a good dose of vitamin K and calcium, celery juice can definitely enhance your bone health. In fact, calcium in a raw form, versus when it is cooked or processed, is far more effective at rejuvenating cell activity and keeping bones healthy and strong. With the low-calorie count and excellent nutritive value, celery juice will add hydration and vitamins and minerals that your body needs when you are attempting a weight loss solution. 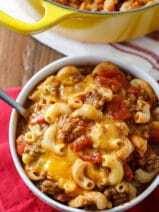 Just remember that it is not a calorie-laden drink, so you will still want to have the right mix of proteins and other fruits and vegetables every day. 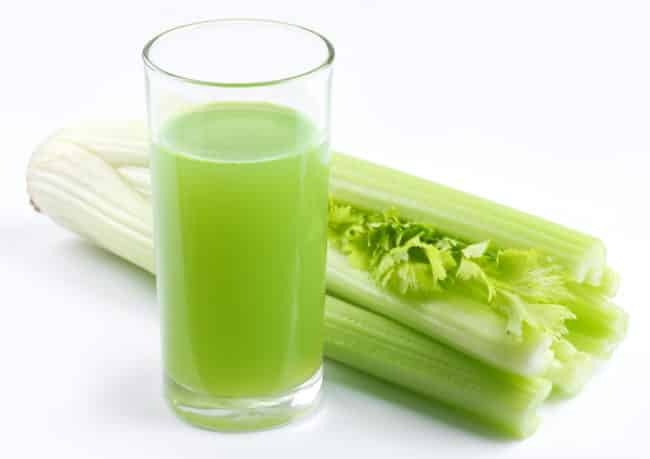 The diuretic effect of celery juice can also go a long way to improving your digestive health. The key to good digestion is active circulation in the intestines, including plenty of hydration. Celery juice is perfect in those capacities! The natural sodium and digestive enzymes in celery also stimulate the acids in the stomach so that you can digest food more easily and quickly. Celery juice for digestion is just one more of the many amazing benefits of celery juice for your body! 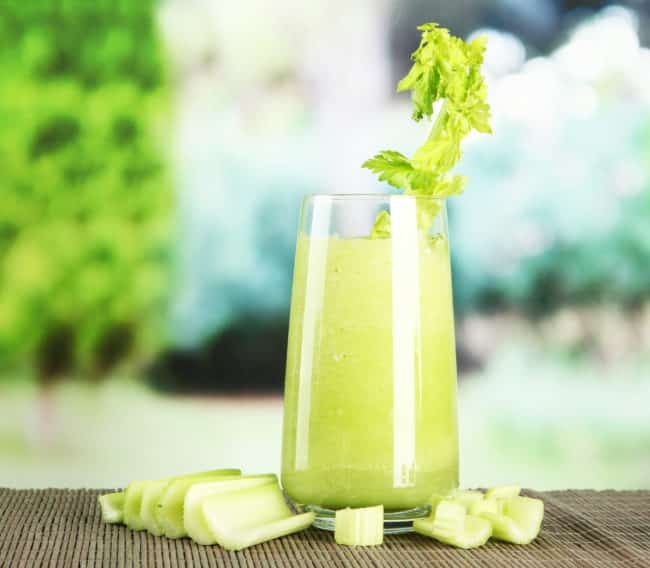 Ulcers can also be aided or prevented with the aid of celery juice, thanks to extracts of tannins and flavonoids it contains, which will nourish the walls of the digestive tracts, the colon, and stomach and help prevent ulcers. By reducing the uric acid in urine, uncomfortable and often painful ailments like urinary tract infections (UTI’s) can be avoided! 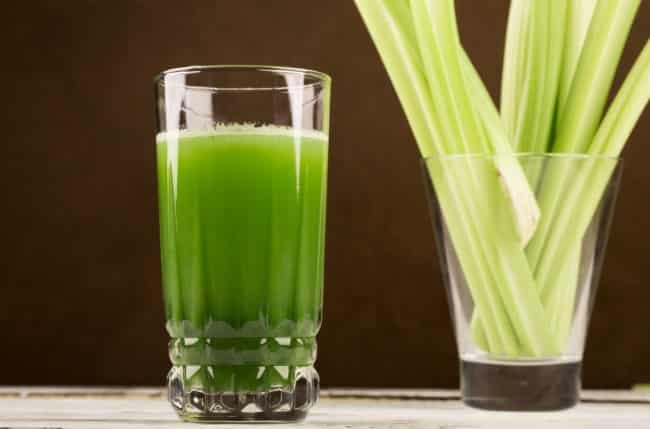 In fact, all bacterial infections involving digestion and reproductive organs might be helped thanks to celery juice, including UTIs, kidney disorders, bladder infections, cysts. The detoxifying properties in celery have an antimicrobial component too, which makes it more difficult for bacteria to grow and flourish. As someone who suffers from chronic UTI’s, this is one of my favorite benefits of celery juice. I would really be remiss if I didn’t mention the self-proclaimed Medical Medium, since his books have truly sparked the celery juice trend. However, about five minutes into listening to one of his books I found myself regretting the purchase. When I started the book, I didn’t realize that he was literally claiming to be a medium who speaks to spirits, etc. As a Bible-believing Christian, I quickly removed this book from my reading library. Celery juice on an empty stomach may not be tolerable to you at first. try drinking just a small amount until your body gets used to this liquid superfood! Take care if you have known kidney issues, as the detoxifying and diuretic effect from the juice could put a lot of pressure on your kidneys. Also, people who suffer from multiple food allergies can be impacted by celery as well. Finally, the antioxidant properties found in celery can make you more sensitive to sunlight, so take care at the beach! Making your own celery juice just makes sense. 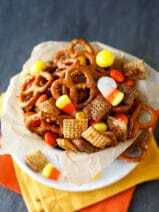 It will be freshest if you prepare it and many juice companies will add sugar to enhance the flavor but the last thing you want, inhibiting all the nutritional benefits in the juice, is added sugar! You’re going to get the nicest results if you make your celery juice in a juicer. I use a Hurom Slow Juicer, but, any juicer will do a good job with celery! As with the juicer, blend all the vegetables you want to include but you might also want to strain the resulting liquid to get the essential juice without any of the fibers that tend to come with vegetables like celery! My favorite blender is this Vitamix. Obviously, celery juice is SO easy to make. Check out the recipe for celery juice at the bottom of our post! 2-3 stalks of celery, with the leafy tops removed. Run them through your juicer or blender and drink the juice right away, while it’s still fresh. 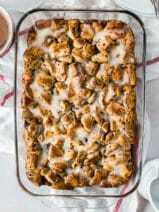 Add ice cubes if you want it to be very icy and cold. You can juice your celery and keep it in a tightly closed container for up to two days but the health and nutritional celery juice benefits are most pronounced if you drink it fresh! Adding other ingredients to complement the celery, which in itself has a fairly marked flavor, will allow you to change up your recipes! Using other vegetables that come from the same family as celery is also a great way to change up your juicing routine. 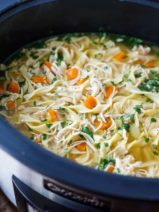 Fennel, carrots, and parsley are all part of the celery family. 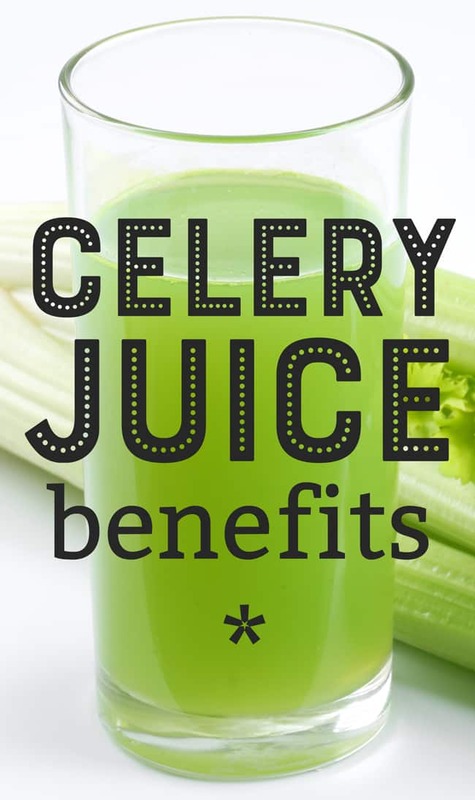 However you enjoy celery juice, it’s clear that the benefits of celery juice are many. From dealing with chronic disorders to managing critical responses to other illnesses, celery juice is a superfood that might have not been on your radar screen until now. Enjoy it and you’ll see the benefits every day. Celery juice is loaded with nutirtional benefits and does wonders for your hair, skin, and digestion. Wash the celery and then roughly chop. Add to your juicer. If you find that your celery juice has too much pulp, strain using a wire mesh strainer and a cheesecloth or nut milk bag. Enjoy! Thank you! I was just about to purchase the medical medium book. 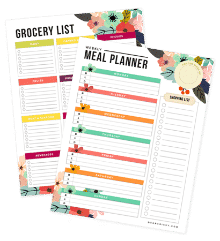 You saved me money!